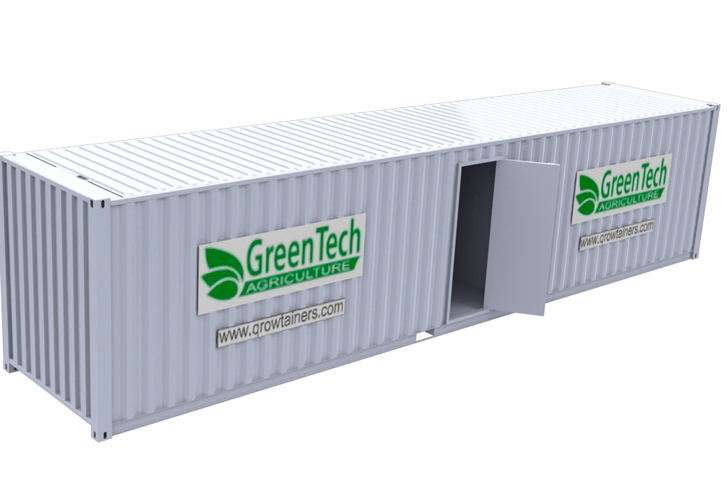 GreenTech Agro Inc., managed by Glenn Behrman, a 40-year veteran of the horticulture industry who founded The Plant Shed in NYC, recently announced the launch of the “Growtainer” project, a new concept in controlled-environment farming. Growtainers are specially equipped insulated shipping containers complete with the most advanced LED lighting, water conserving hydroponic or drip-irrigation systems, adjustable shelving for high yield vertical production, and a state-of-the-art HVAC system, all controlled by a specially designed PC-based microprocessor system which can be monitored from anywhere. Growtainers may be purchased as complete growing systems with nothing to set up or install – just add seeds and start growing. The Growtainer introduction is one of many interesting initiatives proposed by GreenTech Agro. The start-up has already begun the process to submit the project to the US Military for use in locations like Afghanistan where it is difficult to provide fresh vegetables to our troops. GreenTech Agro is also in discussions with a senior aid to the Obama Administration to establish an urban re-development program in the Northeast centered on indoor farming, and they are also proposing the development of an indoor farming facility to be built underground in the midwestern United States. The GreenTech CEO spent a year researching and meeting with major players involved in the development, design and manufacturing of the components required for the controlled growing environments. He traveled the globe, investigating options for LED lighting, hydroponic systems, HVAC systems and greenhouse controllers, and learning from Dutch universities researching optimum production environments. “I’ve learned a lot from each of these industry experts and with my own instinct and experiences, I came up with a product and a concept that I think makes sense and can generate revenue while the CEA (controlled environment agriculture) concept becomes more mainstream,” said Behrman. “My own research has shown that are many items that will work in a Growtainer environment and some of them are high value niche products,” Behrman explained. Growtainers, which are either 40 or 20 feet long, may qualify for grant money through state or federal programs such as the USDA’s Value-Added Producer Grant and other federally funded initiatives. Owning a Growtainer is an excellent small business opportunity. For a small investment a local entrepreneur can provide fresh, healthy organic produce 12 months a year. Thanks to Glenn Behrman for submitting this story! 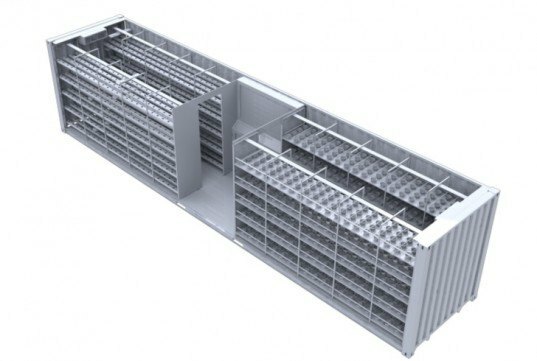 GreenTech Agro Inc., managed by Glenn Behrman, a 40-year veteran of the horticulture industry who founded The Plant Shed in NYC, recently announced the launch of the “Growtainer” project, a new concept in controlled-environment farming. Growtainers are specially equipped insulated shipping containers complete with the most advanced LED lighting, water conserving hydroponic or drip-irrigation systems, adjustable shelving for high yield vertical production, and a state-of-the-art HVAC system, all controlled by a specially designed PC-based microprocessor system which can be monitored from anywhere. Growtainers may be purchased as complete growing systems with nothing to set up or install - just add seeds and start growing.